Seriously, you have to listen to this newest single from Screaming Females. It's called "Ripe" and its filled with mutated guitars and driving, high-octane drums. That's the power that drives this New Jersey trio led by thrasher extroidinaire Marissa Patermoster. The song is off their upcoming sixth studio album Rose Mountain which drops February 24th via Don Giovani and the video is very direct, letting the music the center of attention, with the band just sitting and standing there staring towards the camera. At first it looks as though it was a photograph of the band until you notice tiny movements and blinking. 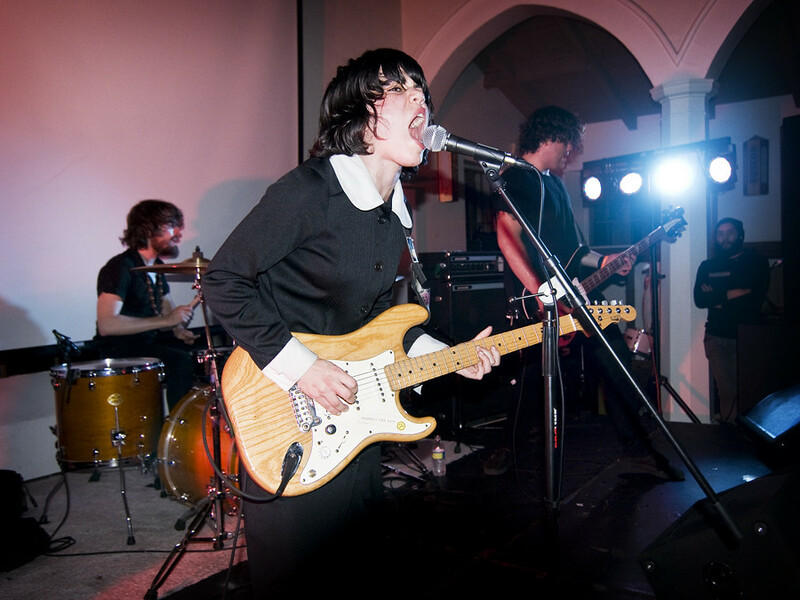 Formed in 2005, Screaming Females is singer/guitarist Marisa Paternoster, bassist Michael Abbate and drummer Jarrett Dougherty. The band has performed alongside Dinosaur Jr., The Julie Ruin, Titus Andronicus + more and just wrapped up a national tour with PUJOL.